Find your favorite Terani Couture cocktail dresses online or in-store at either Henri's Cloud Nine location! Henri's has a vast selection of designer cocktail dresses by Terani Couture, in stock now just in time for your special occasion. These short, sassy styles are perfect for a night on the town, a special date, the party of all parties, homecoming 2018 and every special evening in between. 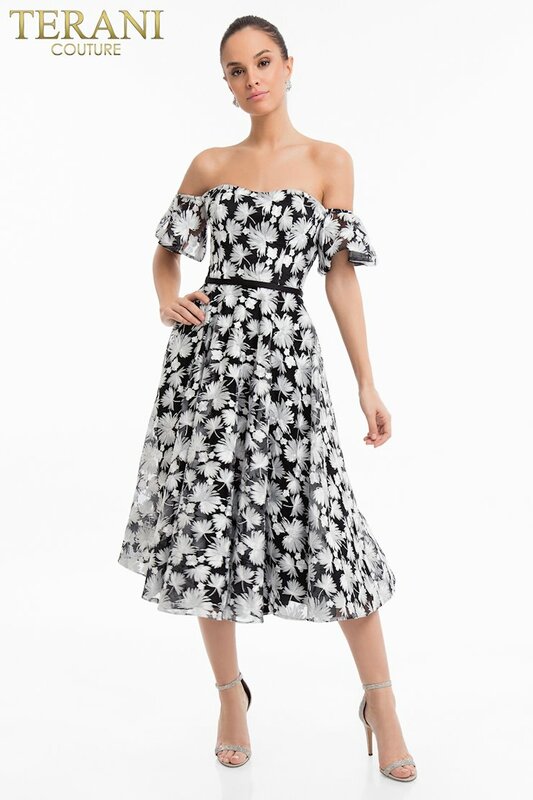 And now, when your order your Terani cocktail dress online, you'll enjoy free shipping to anywhere in the continental United States. Visit Henri's to view our entire selection of Terani Couture homecoming 2018 styles and cocktail dresses!